Crop Over — the sweetest summer festival — will soon be upon us. And with it comes calypso. 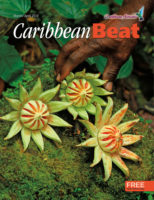 For many years, calypso (and its derivatives rapso, ringbang, and soca) was mostly mere noise to me — a result, perhaps, of my not having been born into Carnival culture. But something clicked when I was in my twenties. I caught festival fever — and, as I became more attuned to my roots, the sweetness of this music was “revealed” and I grew to love it. Anyone who’s seen me dance can attest to that. I now give lessons in wining and wukking up! 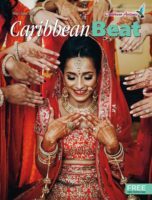 So, when it comes to Barbados’s months-long celebration, there are certain aspects that, as we say in Caribbean parlance, “cyan miss meh.” During Crop Over, the air literally hums with music. It’s everywhere, so you’ll have no difficulty finding it. Your first stop? A calypso tent. My favourite is First Citizens/Digicel De Big Show, featuring Adonijah, Biggie Irie, and ten-time calypso monarch Red Plastic Bag. 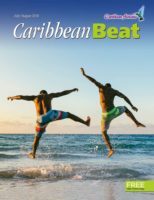 If new to Barbados and Bajan (our Nation Language), you may want to have a translator accompany you to your tent of choice — but, language barrier aside, I can guarantee that between the calypso and the comedy (and the giveaways!) you’ll get your money’s worth of entertainment. Looking for more music? Don’t miss Crop Over in the City, when Bridgetown becomes the backdrop for a sneak peek at the festival. Then there’s Soca on the Hill, featuring the top Caribbean soca artistes, and Pan Pun De Sand, a family event where you can stake out a spot on the beach and relax to the scintillating rhythms of local, regional, and international steel bands. Next there’s there’s the Pic-O-De-Crop finals, where calypsonians vie for monarchy. And for the hottest tunes on the road (not to mention the colourful costumed spectacle), don’t miss the culmination of the festival: Kadooment Day. If, like me, you’re also interested in the quieter aspects of Crop Over, consider Craft Works and the Visual Arts Festival, both of which highlight the unique skill and creativity of our amateur and professional artisans. Also, there’s always much to learn on the Heritage Walk. And then there’s my favourite: Read In!, which can best be described as an extravaganza of words. 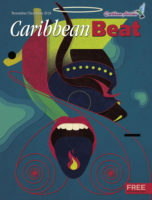 In recent years, this literary arts event has seen the word (and by “word” I mean poetry, fiction, non-fiction, spoken word, and stand-up comedy) and performing and visual arts smoothly blended by the show’s producer and artistic director, Ayesha Gibson-Gill, to create a memorable showcase of Barbados’s writers, past and present. This year, to mark the island’s fiftieth anniversary of Independence, the theme is In Our OWN Words. 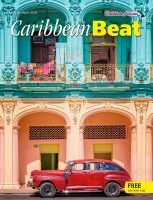 The event will feature the launch of Tony Kellman’s historical novel Tracing JaJa, about the African king’s exile in Barbados, as well as the work of five of our many literary icons — Jeanette Layne Clark, Bruce St John, Frank Collymore, Timothy Callender, and Kamau Brathwaite — as well as some of our finest contemporary writers. I can hardly wait! Will you join me? It’s August Bank Holiday Monday. The rain has been persistent, and it’s unseasonably cold. 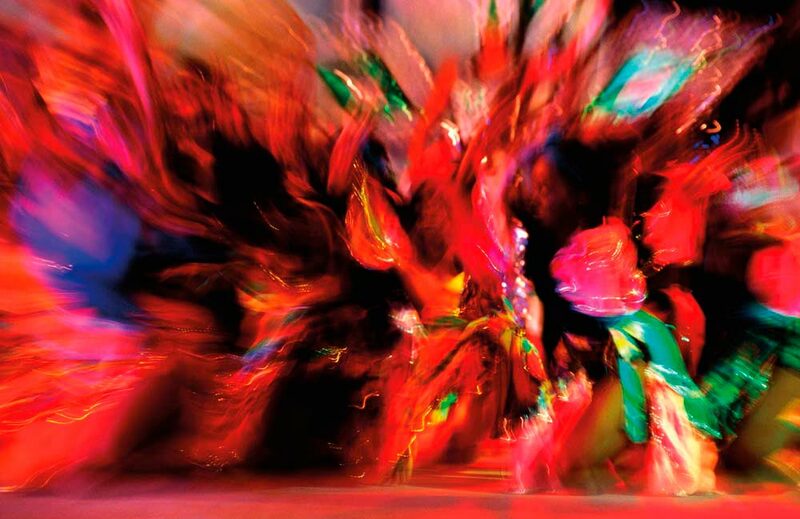 Yet in battle with the grey skies and penetrating damp, alongside the warmth of over-proof rum in our stomachs, is one of the most enthusiastic, artistic, and diverse Carnival parades you’re ever likely to come across. This is Leeds West Indian Carnival. 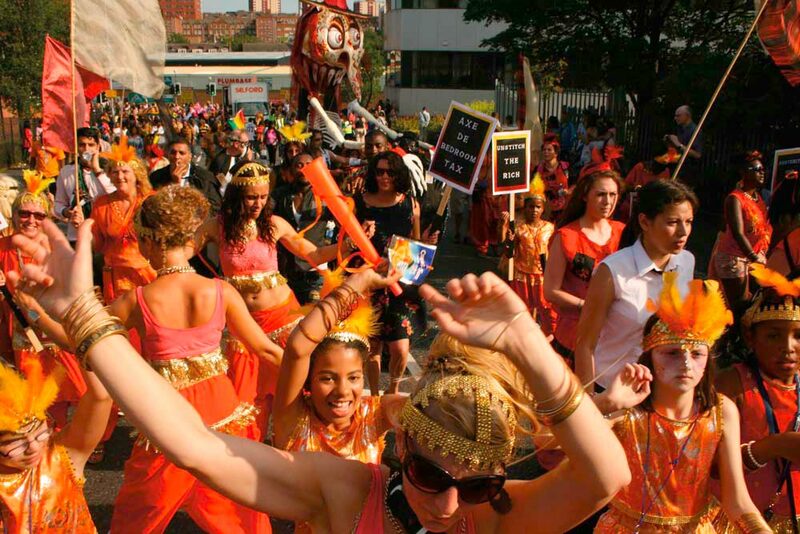 Leeds West Indian Carnival can boast of being the first authentic Caribbean street Carnival in Europe. Established in 1967 by Leeds residents Arthur France from Nevis, Ian Charles from Trinidad, and Leeds University overseas students from Trinidad and Jamaica, it’s enjoyed a strong relationship with the city’s civic institutions, yet remained firmly in the control of the Caribbean community and its Carnival Committee, a dedicated group of Leeds people of Caribbean heritage who have shaped the event since its beginnings. Leeds Carnival weekend follows a similar format to Trinidad and other Caribbean islands: there is the King and Queen show, the battle for the title of Calypso Monarch, a reggae concert in the park, and on J’Ouvert morning bedraggled partied-out revellers are joined by excitable kids in their pyjamas to greet the dawn together. One obvious difference: this Carnival is in August, as the weather is just too damn cold for us northerners to celebrate outside in freezing February. Charismatic founder Arthur France, a gifted storyteller now in his seventies, will regale listeners with tales of the challenges he overcame to get the first Carnival off the ground. 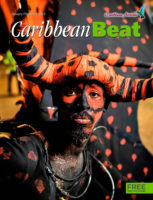 He sensed a “crippling homesickness” in himself and his community which compelled him to try and breathe life into a Caribbean Carnival in Leeds. His friends thought he was crazy, his neighbours swore he couldn’t do it, and the police needed some serious persuading — but his persistence and passion paid off. After securing the use of the Town Hall and permission to parade on the road, his core team turned neighbours’ houses into miniature mas camps, and begged and borrowed materials. One stumbling block was the question of where in Leeds to find the flamboyant feathers needed to adorn the costumes. A trip down to “Butchers’ Row” in Leeds city market and a few plucked chickens later, the issue was resolved. There is a strong community and cultural ethos still alive in Leeds Carnival. Efforts are made to ensure that costumes remain affordable, and traditional mas characters are celebrated. The costume designs for the troupe I play in, Harrison Bundey, are consistently shaped by politics — like Free Dem — Close Guantanamo (2008), Shame on You BP in response to the Gulf of Mexico oil spill (2010), and Blud ah Go Run — Save the National Health Service (2012), which received a great reception from the crowds. 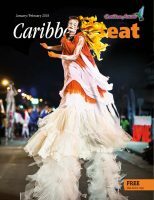 Leeds West Indian Carnival will be fifty years old in 2017, and grand plans are afoot to celebrate, including a Carnival ballet and an international Carnival conference hosted by Leeds Beckett University, in partnership with the Carnival. Leeds has taken Carnival into its heart, and every year more and more spectators and participants of all backgrounds and ethnicities come together to celebrate this unique phenomenon. 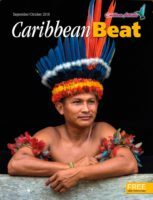 Here, under the often drab skies of Northern England, framed by endless rows of red brick terraced houses, we celebrate both Caribbean culture and a fantastic spectacle which transcends the cultural, racial, and economic boundaries which too often shape our world.